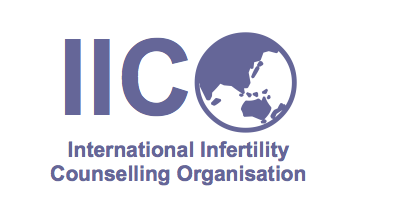 Fertility Counselling – clinical guide and case studies. The above book will come out soon and is available from Cambridge University Press. Many IICO-colleagues have contributed to this book. Using real-world cases, this clinical guide details the psychosocial challenges faced by patients navigating the world of medically assisted reproduction (MAR). It describes in depth the latest perspectives on counseling approaches to the evolving complexities of family creation, whether fertility issues are a presenting problem or occur during the course of therapy or the aftermath of a struggle with infertility. Applying an evidence-based, cross-border approach, international experts not only discuss advanced perspectives on topics such as third party reproduction, pregnancy loss and adoption, but also newer issues of fertility preservation, ‘older’ patient parenthood, LGBT and singles’ family creation. A comprehensive resource, it explores pioneering insights into fertility counseling such as spirituality, developing disclosure language, a counselor’s personal fertility issues, and more. This is an essential aid for medical and mental health professionals to develop and refine the skills needed to treat the increasingly diverse and complex needs of MAR patients. List of contributors; Dedication; Acknowledgement; Foreword; Part I. Introduction: 1. Collaborative reproductive health care model; 2. Reproductive psychology and fertility counseling; Part II. Therapeutic Approaches: 3. Fertility counseling for individuals; 4. Fertility counseling for couples; 5. Spirituality in fertility counseling; 6. Reproductive psychiatry and fertility counseling; Part III. Third-Party Reproduction: Assessment and Preparation: 7. Counseling recipients of anonymous donor gametes; 8. Counseling anonymous gamete donors; 9. Counseling surrogate carrier participants; 10. Counseling known participants in third-party reproduction; Part IV. The Expanding Image of Families: 11. Last chance or too late? Counseling prospective older parents; 12. Counseling single women and single men choosing parenthood; 13. Counseling gay, lesbian, bisexual and transgender patients; 14. Adoption; Part V. Special Topics in Fertility Counseling: 15. Fertility preservation counseling; 16. Pregnancy and loss counseling; 17. The view from the fertility counselor’s chair; 18. Disclosure: helping families talk about assisted reproduction; Part VI. Practice Issues: 19. An evidence-based approach to counseling for fertility treatment compliance; 20. Ethical aspects of fertility counseling; 21. Legal issues for fertility counselors; 22. Cross-border reproductive services and fertility counseling; Appendix: WHO/ICMART glossary; Index. Register with your email address in order to receive IICO news. Once you have received the email, click "Folgen bestätigen" (confirm follow) to be on the IICO Newsletter list.